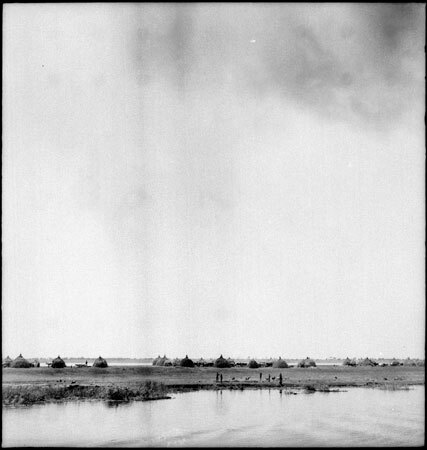 A Shilluk cattle herding village located on an island in the river. The huts of the homesteds are formed into a circle surrounding a central cattle pen area in the centre. Morton, Chris. "Shilluk island village" Southern Sudan Project (in development). 03 Jan. 2006. Pitt Rivers Museum. <http://southernsudan.prm.ox.ac.uk/details/2005.51.132.1/>.